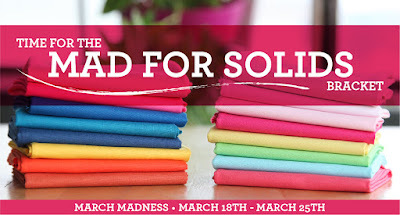 It's March, and time for our fabric versions of March Madness - Mad for Solids! Head over to our new blog (and make sure to bookmark it!) for details and to vote. 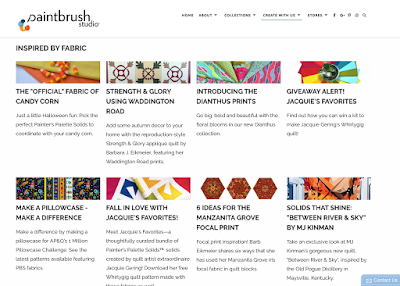 If you've been missing those Inspired by Fabric emails in your inbox, we can help! We've moved the blog over to the Paintbrush Studio website. 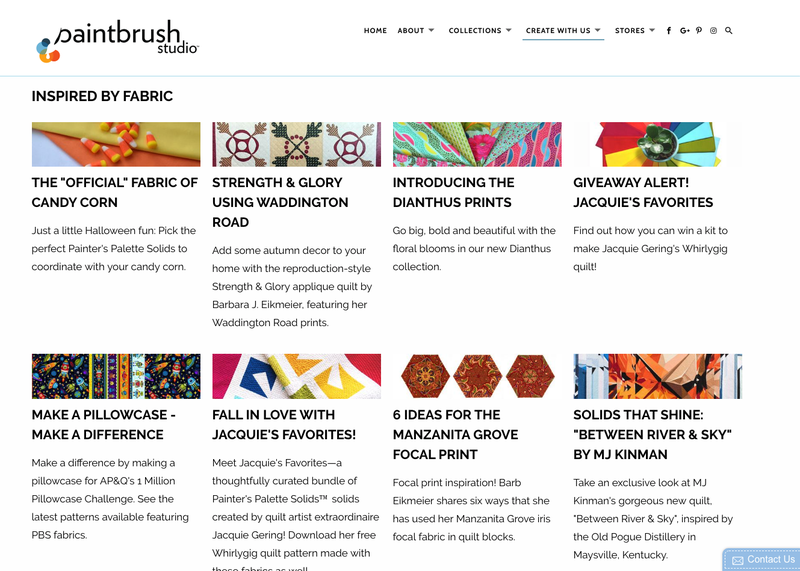 Click on the "Create with Us" tab and select Blog -Inspired by Fabric. What have we been posting about? Jacquie's Favorites, Manzanita Grove, the new Dianthus collection, candy corn, and so much more! We hope you'll join us. Read all the blog posts here. Our blog has moved over to the "Create with Us" tab on our website. Find us there and bookmark us! Don't miss our exclusive interview with MJ Kinman about her gorgeous "Between River & Sky" quilt, inspired by Old Pogue Distillery and made from Painter's Palette Solids. 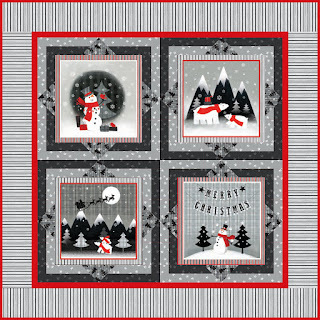 This wintry collection uses a modern gray, black and red palette for a touch of holiday sophistication. 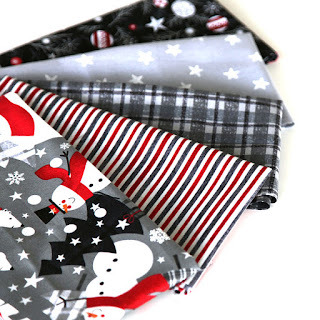 We’ve paired pinstripes, plaids and stars with snowmen and polar bears to create a cozy feel. 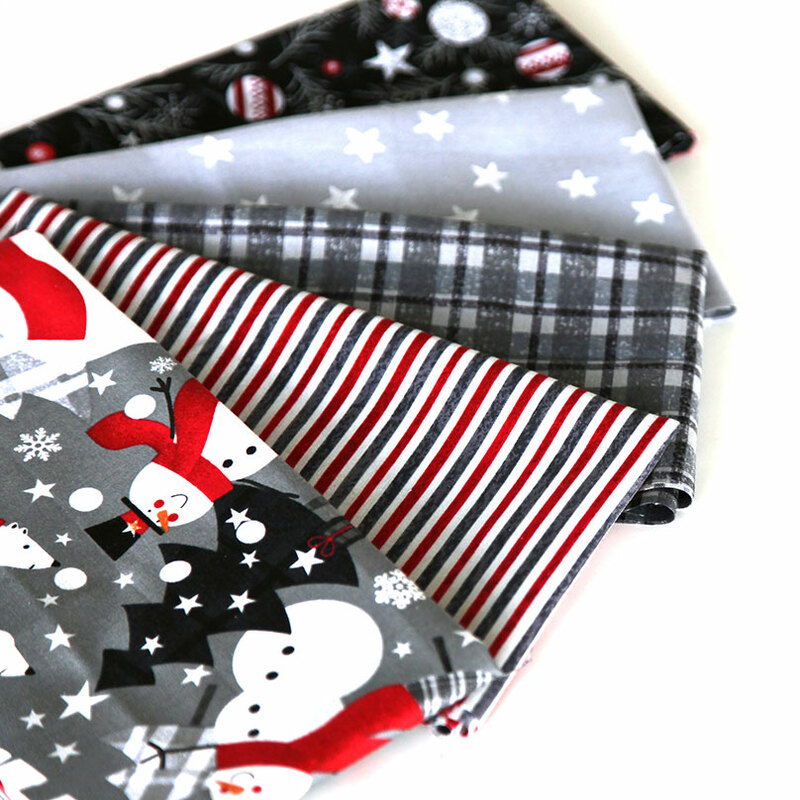 Choose one of the three panels: blocks, advent calendar, or stockings to whip up a quick project! 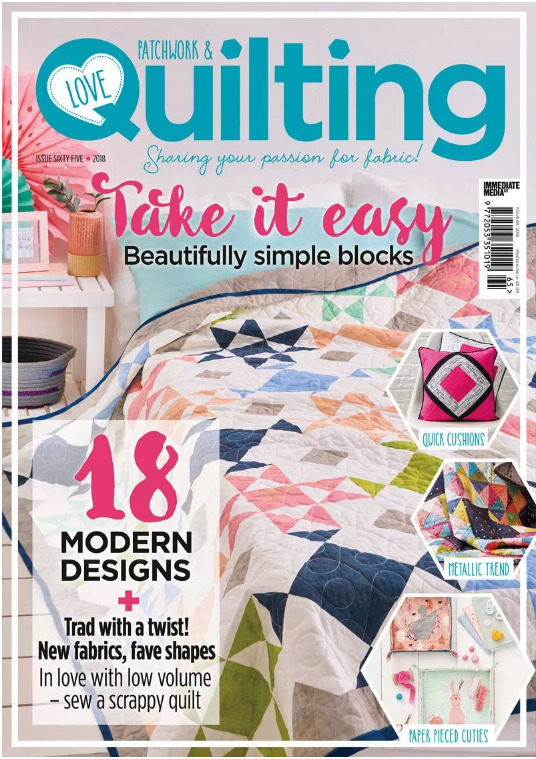 See the collection here and ask for it at your local quilt shop. 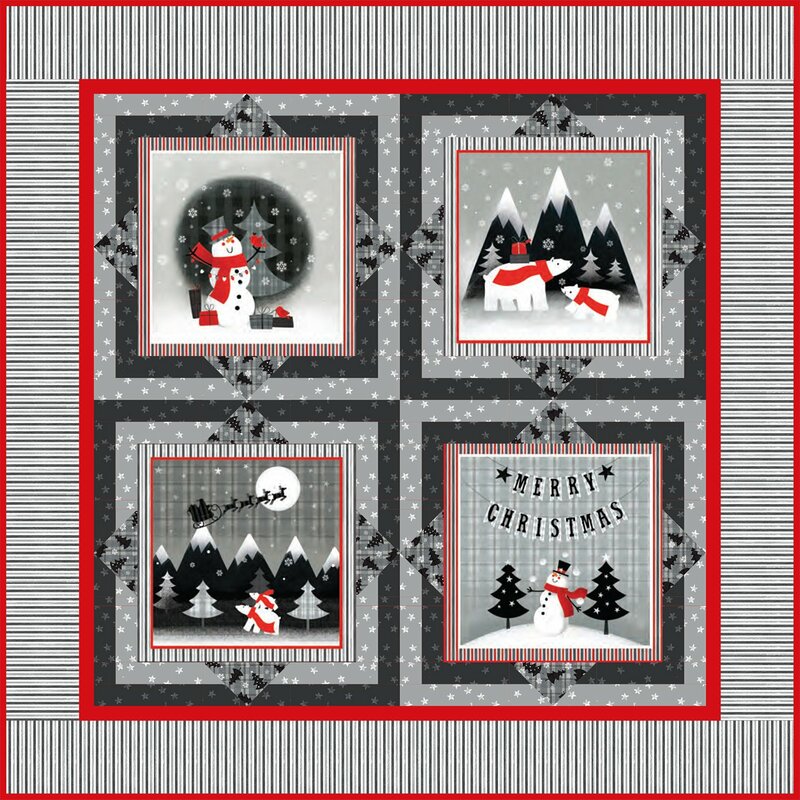 Use the block panel in the Red + Grey Christmas Quilt--a free pattern that is easy to make and perfect for snuggling under during chilly winter evenings. 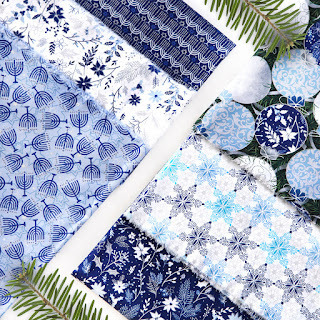 These frosty prints bring a breath of fresh air to holiday style. 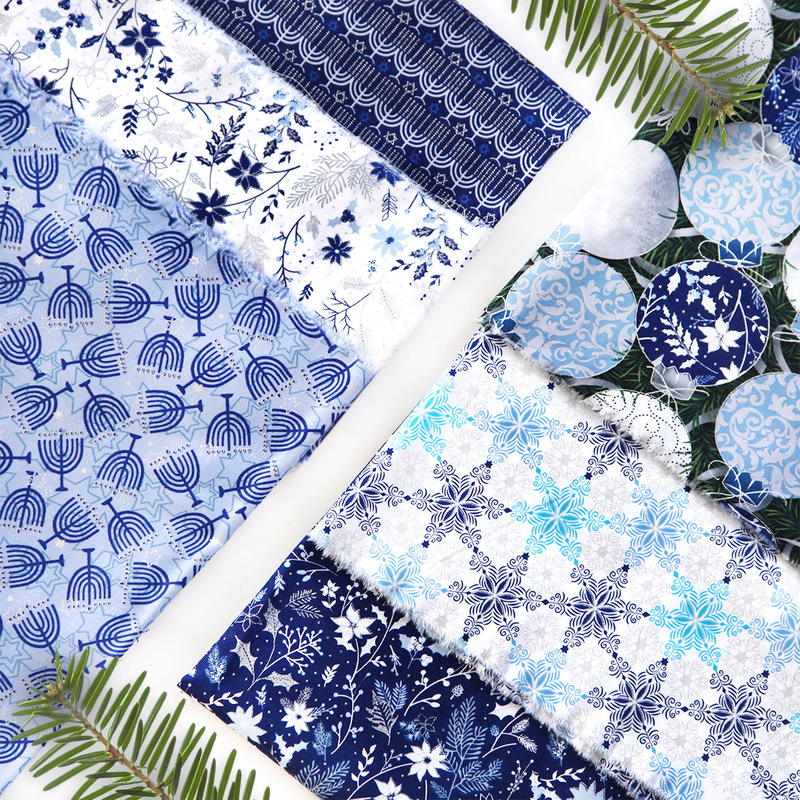 Cool blues and silvers sparkle in elegant prints—swirls, snowflakes, ornaments, menorahs, and more. Stocking and advent calendar panels also available. See the collection here and ask for it at your local quilt shop. 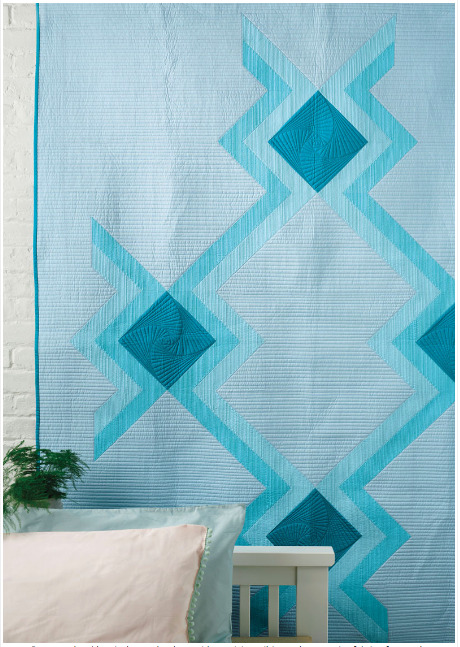 Watch for our Blue Holiday Quilt Along on the blog later this fall! Mad for Solids - What did they make? Do you have a fabric bundle that you admire daily, but can't quite decide what to do with it? We checked in with some of our Mad for Solids designers to see what they've used their curated Painter's Palette Solids bundles to make. 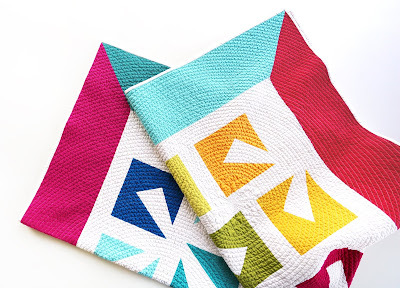 After seeing these projects, we're itching to start sewing...what about you? 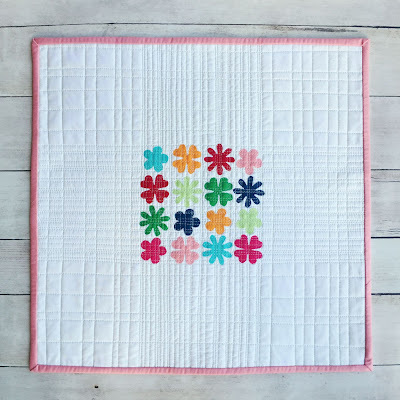 Cheryl says, "With my bundle of solids, I made a mini quilt using little flower applique shapes and then added some straight line quilting to give the mini texture and hold down the flowers. I gave the mini to my co-worker who's husband is battling cancer." Read more about it here. Shelley used her cool color palette to create the Heirloom Opal quilt. Love that rich purple background! Simone's bold colors pop on the navy background in this graphic yet simple design. Tania says, "I love to play around with old blocks as see how I can tweak them just a bit. My favourite block is the shoofly. I changed the centre square to a rectangle, altered the hsts to be one large and one small and tada...my mid mod shoofly. I believe that modern quilters have a link back to traditional quilters, it is part of our creative history." Love this little scissors mini she made too! 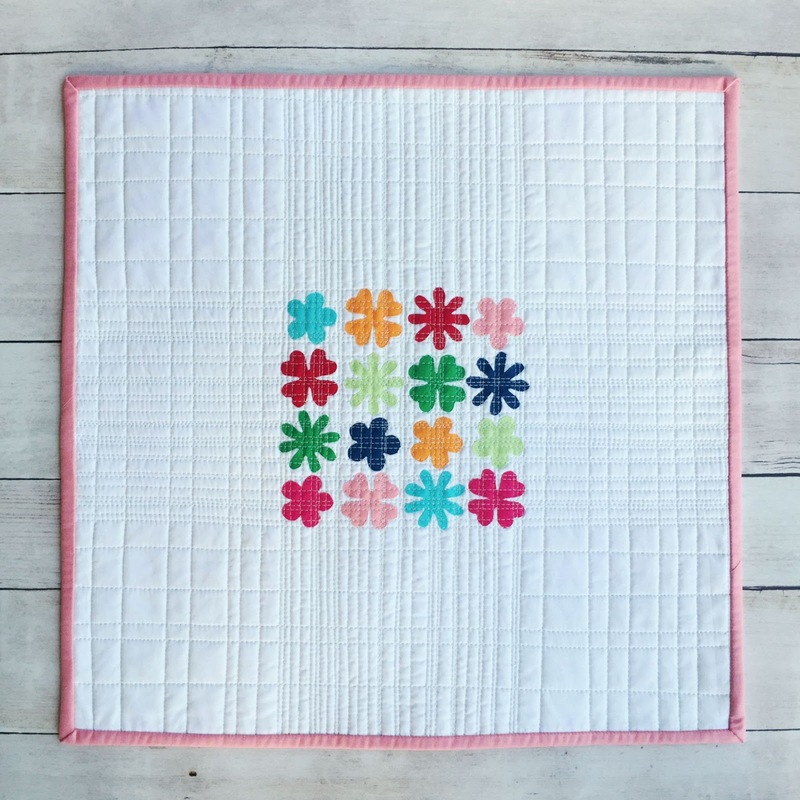 Jayne says, "I’ve been waiting for the perfect design to use my Mad for Solids bundle! I recently went through a Mondrian Art phase that inspired my latest design ‘Modern Geometry.’ While I’m not a math person, the idea of fitting shapes together was intriguing and a puzzle I was determined to figure out. And the icing on the cake has to be the colors!" 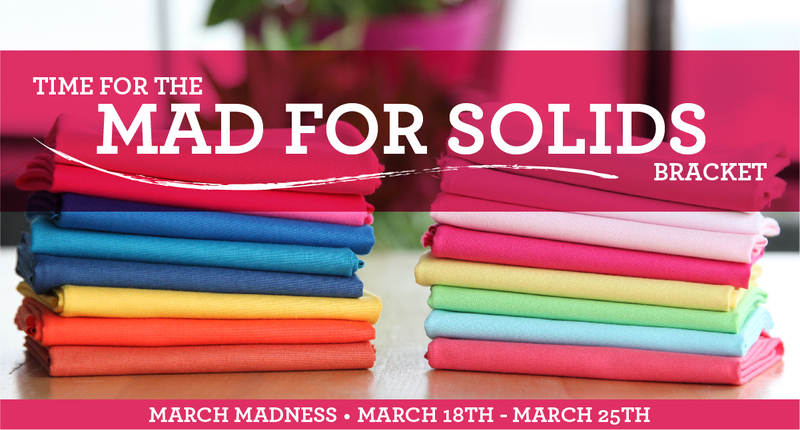 See the sixteen Mad for Solids bundles here. Inspired? Grab a bundle and start sewing. The Final Four bundles are available here (plus color cards!). Find all 168 Painter's Palette Solids here. 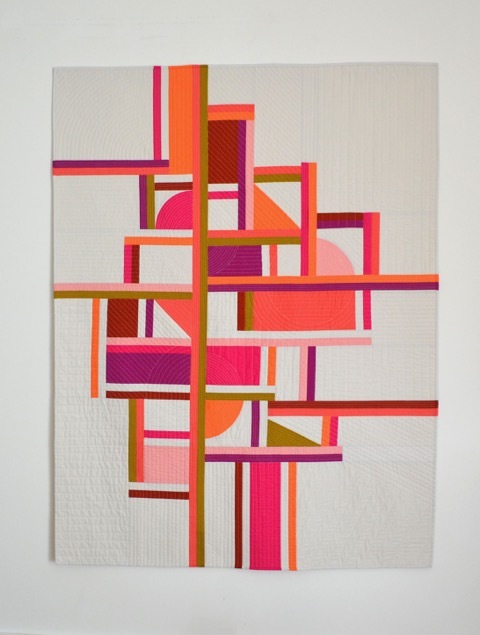 We love Yvonne Fuchs' aptly named "Wonder" quilt, featured in Issue #65 of Love Patchwork & Quilting magazine. 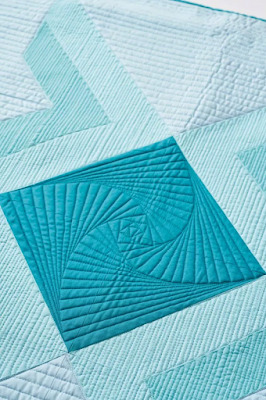 The soothing turquoises, graphic design and detailed quilting combine to create a true work of art inspired by the ocean. Keep reading to learn more about Yvonne's quilt, made using our Painter's Palette Solids. Q. 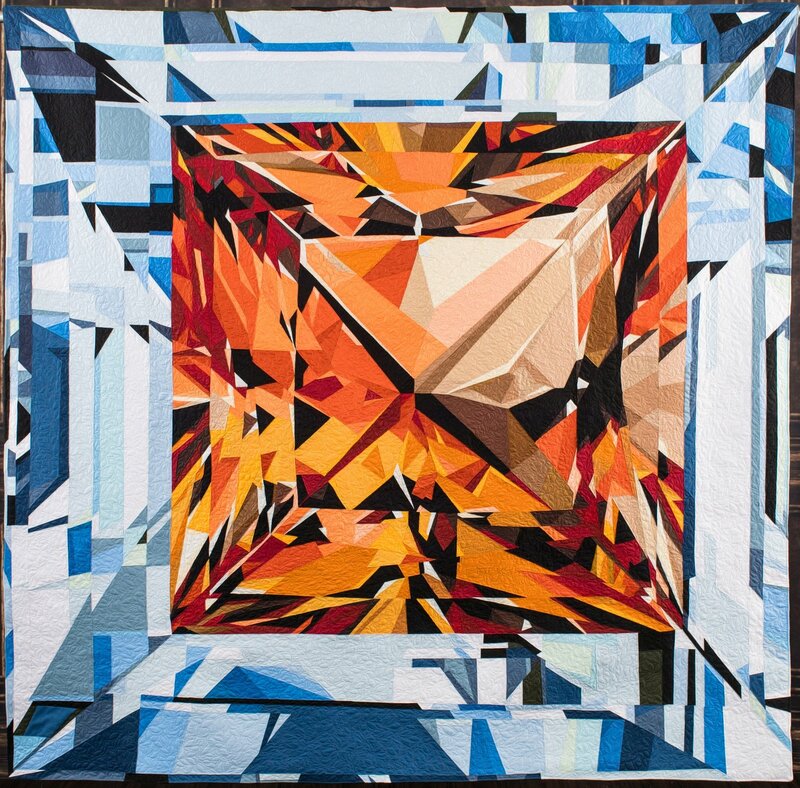 Can you talk about your inspiration for the quilt? Q. How did you choose the fabrics you used? YF: I like to use color cards when selecting my fabrics, as getting to see the fabric with my own eyes and not on a computer screen can make a very big difference. I have a Painter's Palette Solids color card, and Azure, Aruba, Pale Aqua, and Gulf Stream captured the turquoise colors and tones that I remember from sitting on the beach looking out across the shallow waters on a bright, summer day. Q. What do you like about the Painter’s Palette Solids? YF: I like the weight and tight weave of the Painter's Palette Solids. They press easily and beautifully. They have very little to no fraying, which is something I paid a lot of attention to with the Wonder quilt because I used a lighter color for the predominant background, so I was pleased when I didn't need to spend a lot of time clipping stray threads prior to basting the quilt for quilting. Q. Tell us about your design. YF: My goal with the design was to achieve an ebb and flow feeling and combine it with a deepening turquoise color gradient. I specifically really like the push/pull feeling that is created by having different colors in the stripes touching the dark Gulf Stream squares. Q. 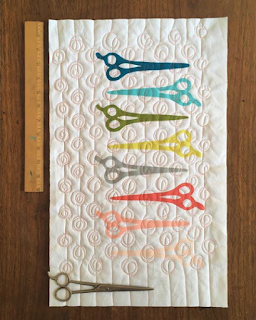 Can you talk about how you quilted it and why you made the decisions you did in each color? 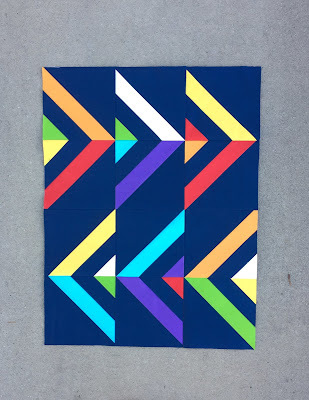 YF: I knew that I wanted the Gulf Stream squares to be focal points for the quilt, but I wanted them to also have a sense of motion that kept your eye moving around the quilt, so I selected the square spiral straight line quilting motif to draw the eye in and add depth and motion. 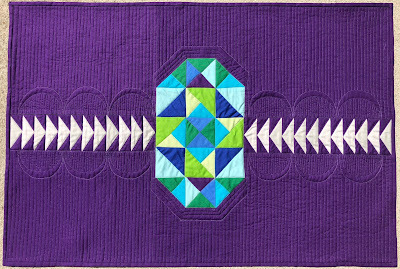 I wanted the focus on the rest of the piecing to be more about a push/pull tension than about the quilting, so I hoped to achieve that by keeping things simple with vertical back and forth lines in the stripes and horizontal lines in the background. I also wanted the quilted straight lines to evoke the sense of the lines of waves stretching out across an ocean. Q. 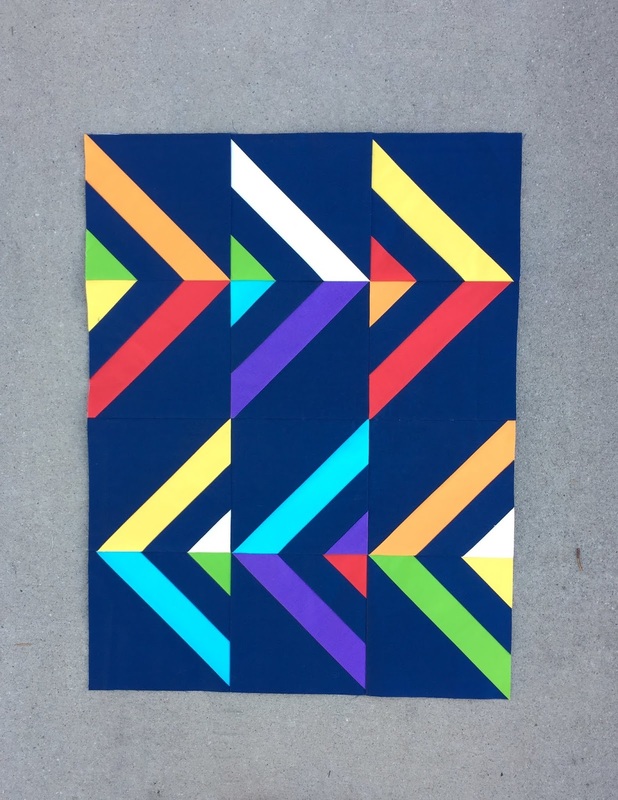 What do you like best about this quilt? 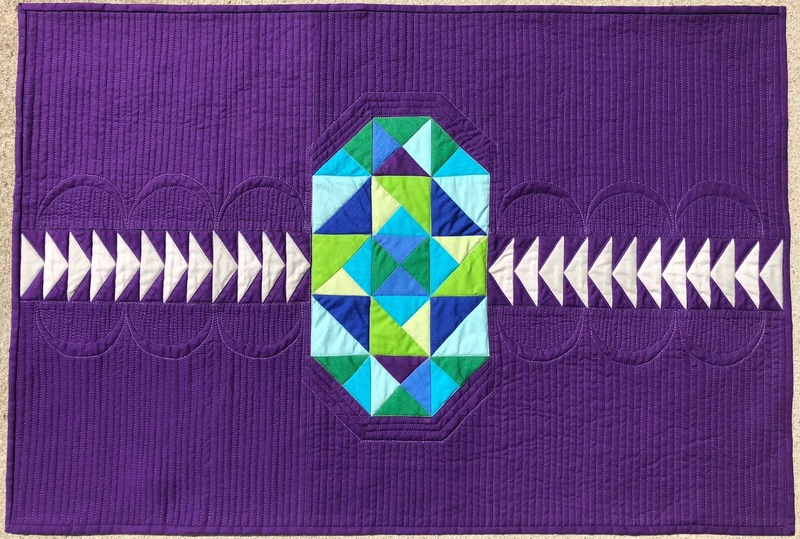 YF: My favorite parts of the quilt are the dark Gulf Stream areas and the quilting within them. 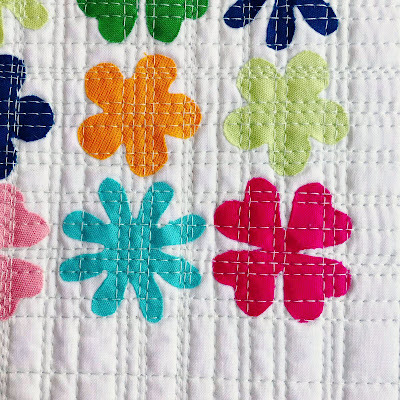 I love how they are anchors in the design as your eye moves across the quilt. Q. Any other ideas for this design? YF: I personally think that this would would be stunning remade in red, gold, and blue for anyone who is a Wonder Woman fan! 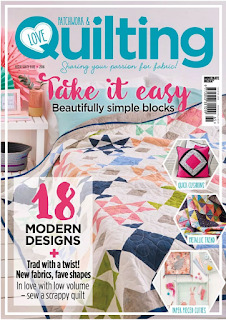 Find Love Patchwork & Quilting here (you can purchase a downloadable issue!). Happy Friday! Here's a little eye candy to start of your weekend on a quilty note! 1. 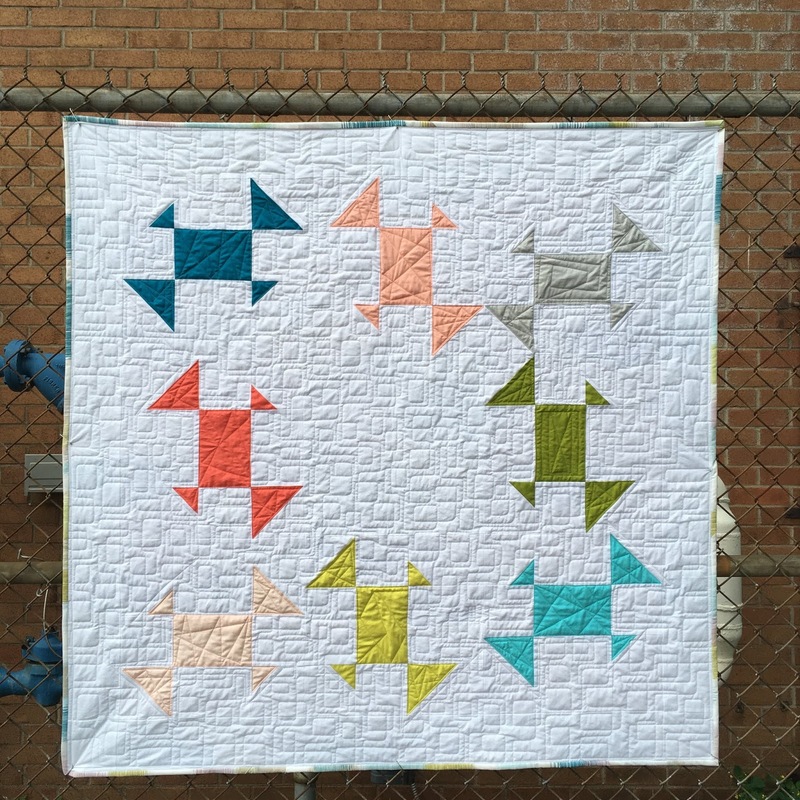 Check out MJ Kinman's Between River & Sky quilt from her Bourbon Diamonds series. Absolute perfection! 2. New collection sneak peek: Jump Ride Spin by Tracey Wirth. These whimsical prints are so much fun! 3. Jacquie's Favorites - We're so excited about this collaboration! Take a look at the 18 Painter's Palette Solids colors in this collection curated by Jacquie Gering herself. Use them to make her Whirlygig pattern! See all 18 colors here. 4. Bold florals, cool geometrics and perfectly coordinated small prints - Meet our Dianthus collection! Available in two colorways. 5. 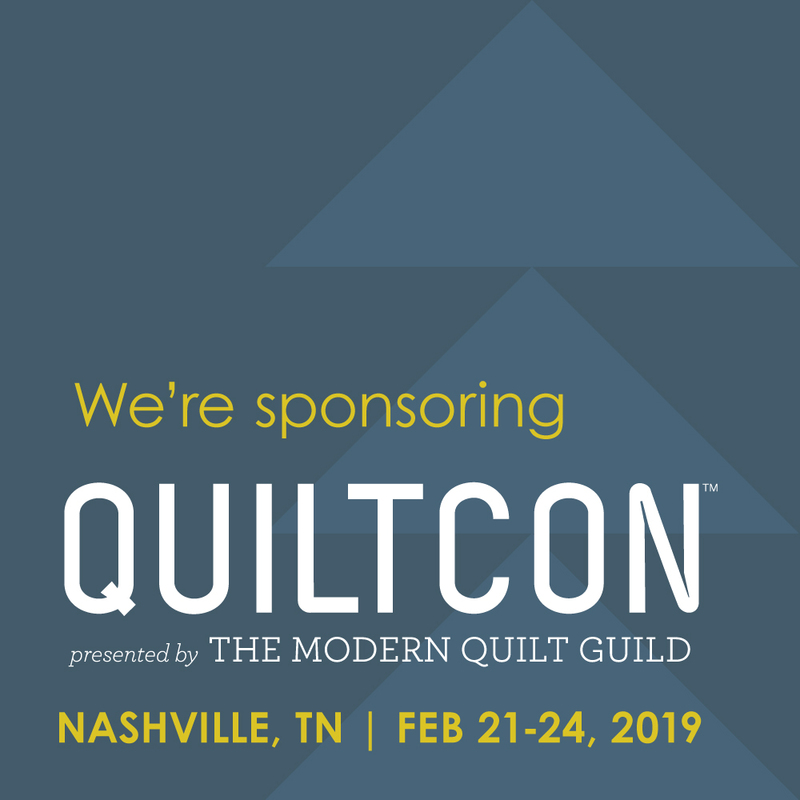 Get ready for a Quilt Along! 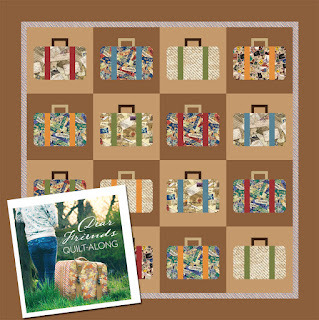 We'll be making the Dear Friends Suitcase Quilt here on the blog and invite you to sew along with us. Kit information and dates coming soon.